Browse: Home / arpfox – An arpspoof clone that injects spoofed ARP packets into a LAN. arpfox is an arpspoof clone written in Go which creates and injects special ARP packets that can be used to poison ARP cache tables. 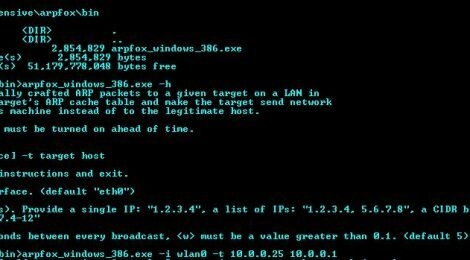 A security researcher can run arpfox against any machine on the LAN to pose as any other host, this is an ancient technique known as ARP spoofing and is commonly used to eavesdrop communications on a LAN. The machine that receives traffic can record, censor, alter or selectively drop network packets that pass through it. ← Nishang v0.6.9 – PowerShell for penetration testing and offensive security.